Three years a family already, and I think it’s time we had a page for FOOD! Everyone at Juniper Hill has embraced food, the meals that they prepare in our kitchen… and they are proud of their creations and are ‘hungry’ for more ideas every week. We have come such a long way from that first post about food two years ago . February 2014.. Tonight, we had two seafood pot pies. Ray’s was a Smoked Salmon in a Puff Pastry Crust… and Pete our visitor for the week made an Old Bay Scallop and Shrimp Pie. Andy said immediately that he wanted to learn to make a pot pie, and that I should make sure that Ed, his staff, was aware of this. 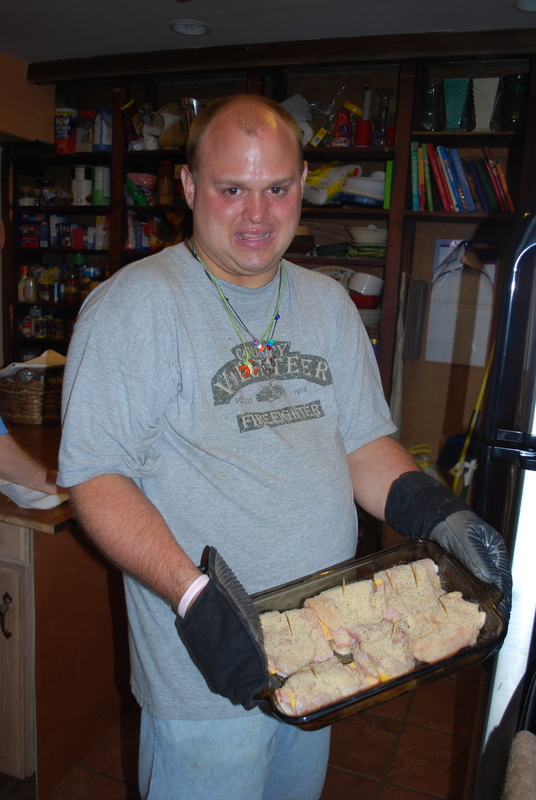 Andy had impressed us all with his Chicken Cordon Bleu on his night to cook this week, , which is a dish he has been making for three years but had been on hiatus for the last six months. And tomorrow, Pags is making his Beef Bourguignon, which he has been perfecting for the past three months. 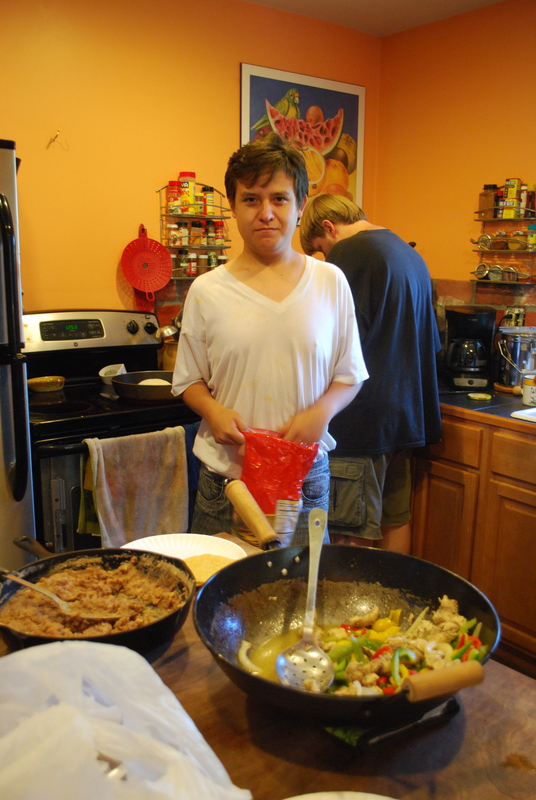 Brent is the comfort food king, and he made Slow Cooker Chicken and Dumplings this week. I must admit, I threw together a pretty rocking’ pot of Chili for the Wednesday Bingo tournament… (but it was Andy’s recipe!) What a week this has been! 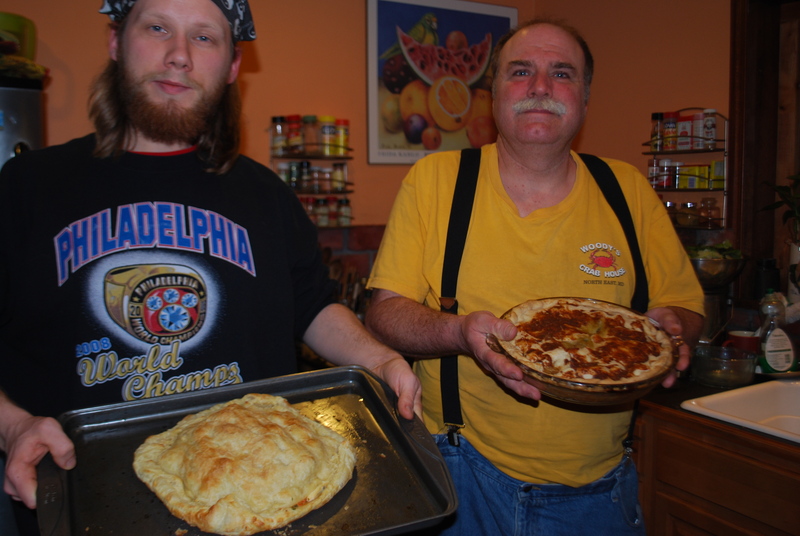 and Tuna Noodle Casserole, and Homemade Pizza… everyone tries their hand at those two. 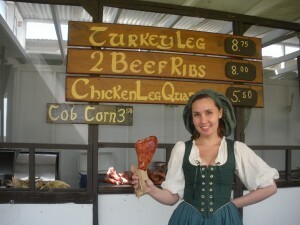 Ever had turkey legs at a Renaissance Faire? 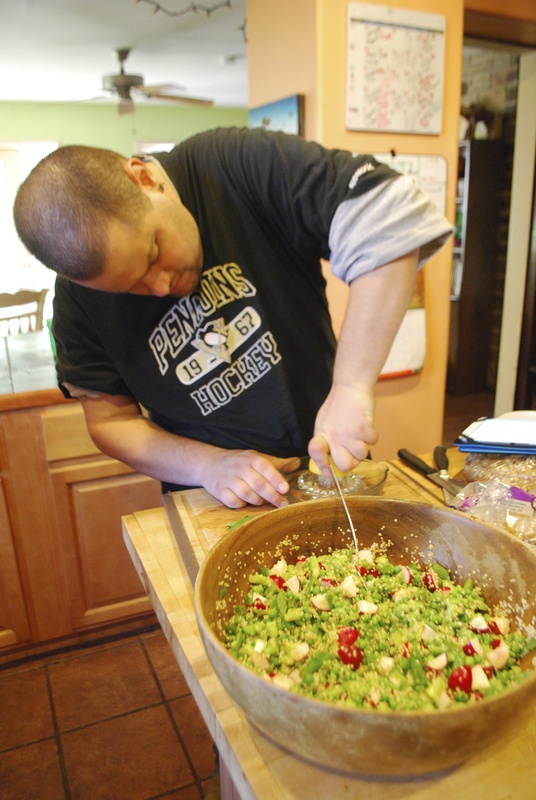 Brent has, and he and his staff, Mindy, found a recipe for them. One bite takes you right back to jousting knights and pirate wenches. He starts brining them a day in advance… they are greatly anticipated! Jose and his staff person, Carin, have been the Wednesday lunch cooks for two years, and they have kept the volunteers fed in the summertime and introduced us to some great Mexican dishes. They are taking a break these days, so I am giving myself a refresher course on Easy Comfort Food for crowds… and making big pots of chili, spaghetti and meatballs (no hotdogs), mac and cheese or lasagna on our Wednesday afternoons. Our recipe binder is getting very full, because we save the instructions for everything we make… so it is time to put together a Juniper Hill Farms cookbook, for real! 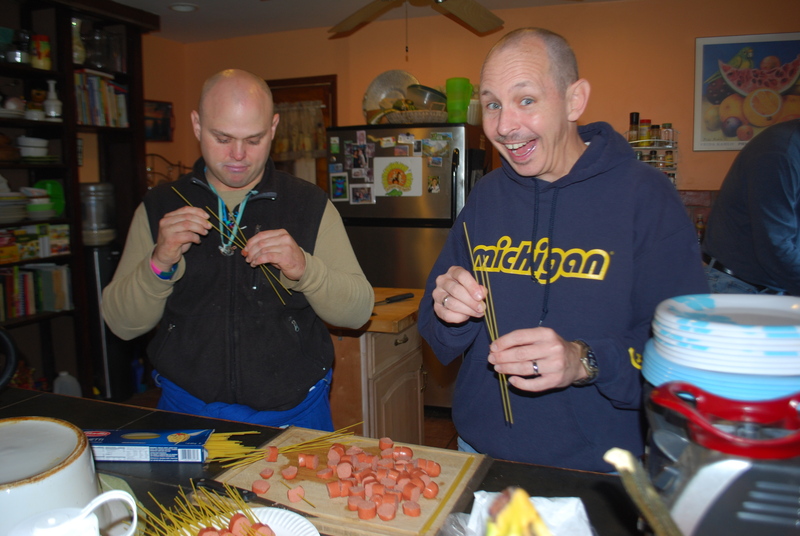 The guys are pretty excited about that, and just keep adding recipes. Our routine here is pretty much set these days, where each of us cooks one night a week, the same night each week. The monthly menu lists 4 or 5 different dishes for each person, and they get repeated, pretty much, each month. 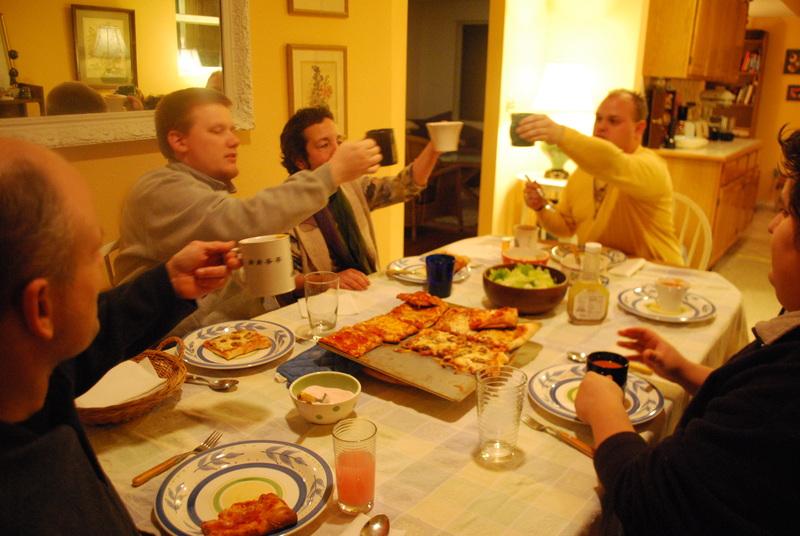 This way, everyone is very familiar with four or five different meals and will hopefully be able to do it on their own eventually. Everyone shops with his staff person to get specifics for the meal, and I keep the house stocked with staples. The staples are an integral part of the whole system here, and will definitely have their own chapter in the cookbook! So we leave you here with a few photos …. 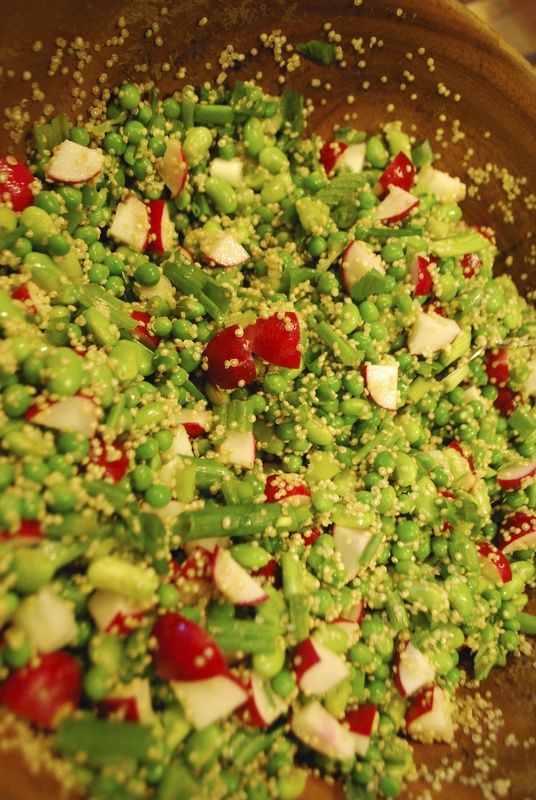 of Big Bang Spaghetti making, followed by Pags and his superb Quinoa/Edamame and Asparagus salad…. (yes, he has aspirations of being a sous chef in a fancy restaurant someday! )… and we will soon be posting our recipes here as well. and just so you know…. 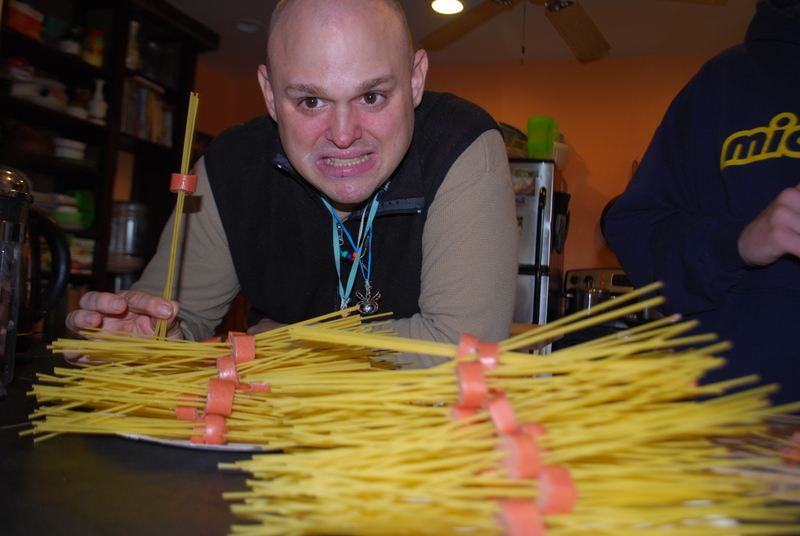 in spite of the fact that everyone is truly excited at the prospect of an amazing home cooked original meal each night… between the hours of 12 and 4 each day there still can be seen a gang of guys loving their cold cans of spaghetti-o’s, bowls of ramen, and microwave popcorn. 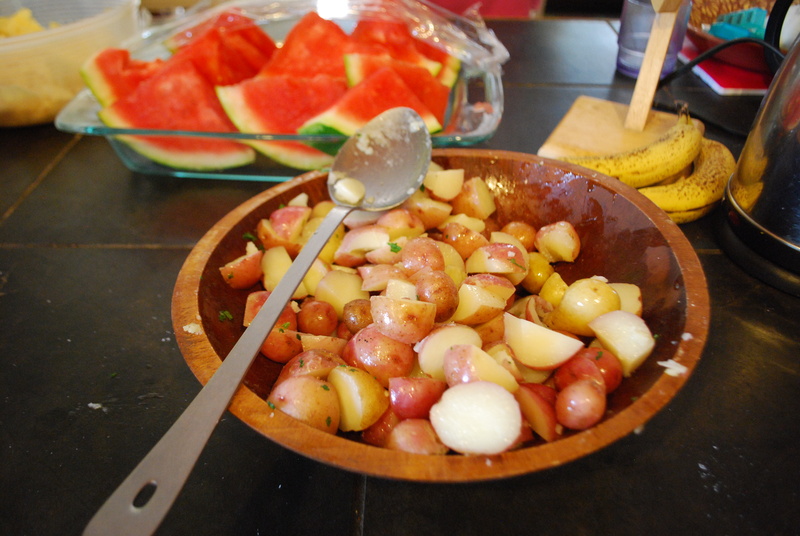 and THIS is a bowl of hot boiled potatoes with butter and parsley… straight from our potato patch! It doesn’t get any better than this….